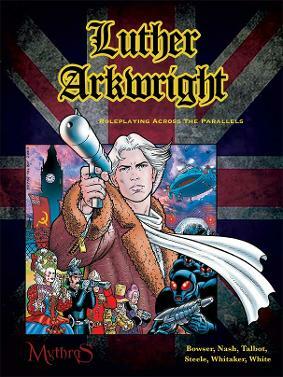 Based on the award winning graphic novels by writer/artist Bryan Talbot, Luther Arkwright: Roleplaying Across the Parallels brings the Mythras rules to a Science Fiction setting. Our universe is but one of many - a Multiverse - and its integrity is guarded by Valhalla Nova from Parallel Zero-Zero. Its agents are abroad in the parallel worlds, investigating anomalies, gathering intelligence and trying to uncover the plans and schemes of the sinister Disruptors, a loose affiliation of organisations with designs on bringing chaos to uncounted worlds of the multiverse. Foremost of Valhalla's agents is Luther Arkwright: ex-junkie, psychic, unique in the multiverse, and possessed of the Homo Novus gene, the next stage of human evolution. Yet he is not alone. In this supplement, the characters are also agents of Valhalla, each with their own special talents, their own dependencies, their own skills, their own failings. 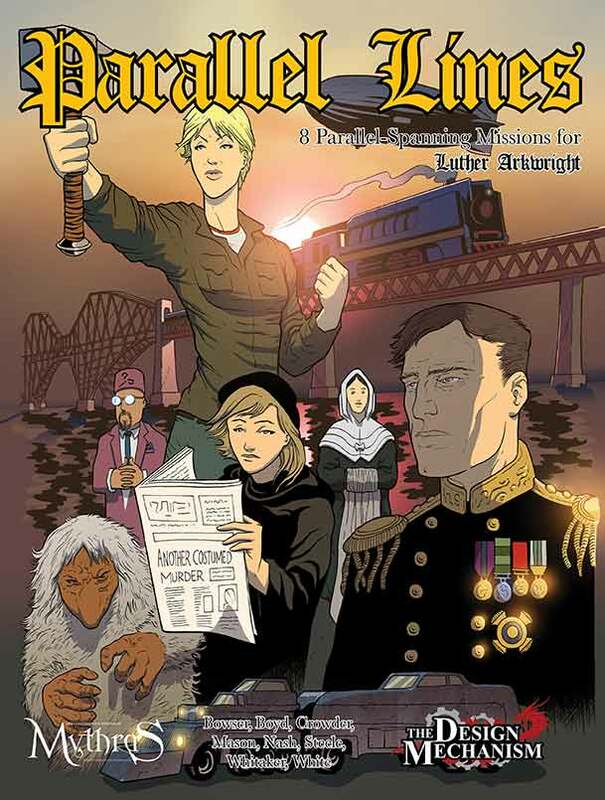 Luther Arkwright: Roleplaying Across the Parallels introduces rules for creating characters from any number of parallels and time streams; it brings psionics and planar travel, rules for firearms, vehicles and sanity. Join Valhalla and let W.O.T.A.N guide you; adventure alongside Arkwright, Rose Wylde and Octobriana; bring order and safety to the infinite Parallels! This book contains all the expansion rules for Mythras - character creation, traits and dependencies, psionics, sanity, and more. Copiously illustrated with scenes from the graphic novels, the book includes an introductory adventure and extensive notes on crafting Luther Arkwright scenarios. The first campaign book for Luther Arkwright: Roleplaying Across the Parallels, this set of eight scenarios describes the efforts of Mjollnir section to investigate a series of disturbances that may or may not be of Disruptor origin. With missions that range from a Salem still in the grip of witchcraft hysteria, through dystopian and apocalyptic landscapes, taking in epic journeys undersea, through Siberia, and into the airship lanes of Europe, Parallel Lines is a must-have for any Luther Arkwright GM.